There’s a place where dazzling fall colors meet the sparkling shores of a great lake. A place where you can trek to a lake nestled among the clouds. A place where you can hike through old-growth forests, accompanied only by the sound of your steps on freshly fallen leaves. A place that will awaken your spirit of adventure. 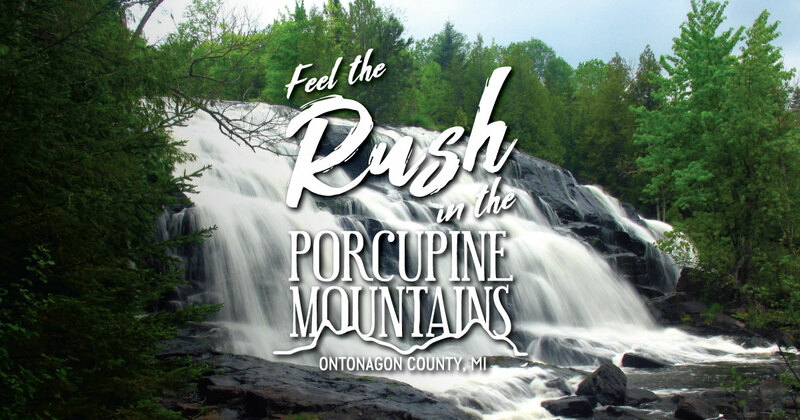 Welcome to the Porcupine Mountains and Ontonagon County in Michigan’s Upper Peninsula. Find 60,000 acres to explore at the Porcupine Mountains Wilderness State Park, including nearly 90 miles of recreational trails. You’ll discover abundant natural beauty, from spectacular views at Lake of the Clouds to scenic waterfalls. View a map or read descriptions of trails in the state park. Other hiking options include the Ottawa National Forest, the Black River Harbor Recreation Area and the Sylvania Wilderness Area. Learn more about hiking here.